Environmental, social and governance (ESG) investing can help investors, asset managers and individual companies align their interests to create a better portfolio and, ultimately, a better world. Let’s take a look at this investment approach through the perspective of each of these groups. From the perspective of investors, consideration of ESG factors has gone from a nice-to-have to a need-to-have over the past decade. This can be attributed to many different trends. One is a growing awareness of the effects of climate change and other man-made environmental impacts, especially given the number of extreme weather events happening recently. 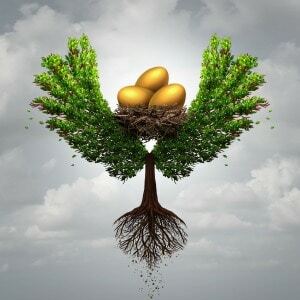 Another is the changing demographics of the global investor base, which increasingly includes more women and millennials, both of whom have been shown to express a greater interest in stewardship. Lastly, recent research has shown that factoring in material ESG risks during the investment process can help generate a high-quality return stream that is likely to be more stable over the long term. ESG investing among institutions is on the rise. According to a recent survey of institutional investors by State Street Global Advisors, 80 per cent of institutions now incorporate an ESG component within their investment strategies, with more than two-thirds of these institutions stating that the integration of ESG has significantly improved their returns. 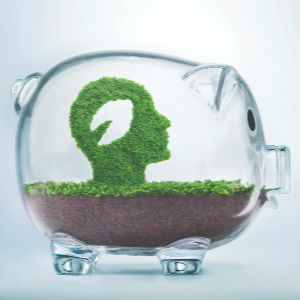 A survey conducted by BNP Paribas Securities Services finds that while nearly half of these investors have invested 25 per cent or less of their assets in specific ESG strategies, they plan to increase this to 50 per cent or more over the next two years. And asset managers are responding to this increase in demand for ESG products. Of the 80 per cent of asset managers incorporating ESG investing, 40 per cent currently market 25 per cent or less of their funds as either ESG or responsible investing funds. However, more than half (54 per cent) have said they plan to market 50 per cent or more of their funds as ESG products in two years. For retail investors, increased interest in ESG investing along with the importance placed on fiduciary duty have propelled an expansion in the use of stewardship strategies as well as ESG integration. 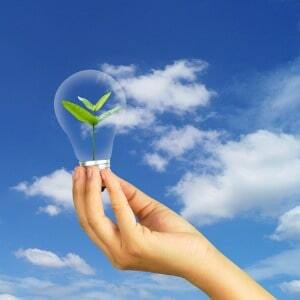 Many individual investors are giving greater thought to how their investment dollars impact the world around them. Risk management is becoming ever more important to asset managers as risks develop and evolve within constantly changing markets. Incorporating ESG risks into investment decisions helps asset managers gain a fundamental understanding of the key risks and opportunities associated with each company or asset. All of these risks – including those relating to cybersecurity, supply chain management, regulatory changes and environmental impacts – should be part of the overall analysis of an investment opportunity. Recognising unique advantages and possible risks of an investment, whether positive or negative, is a critical part of fundamental investing. Understanding material risks related to ESG concerns contributes to a fuller understanding of each potential portfolio holding. While many commentators link ESG analysis to “non-financial” analysis or considerations, this view may actually understate the importance of ESG-related factors. 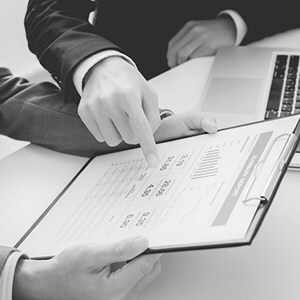 Rather, these factors are just as vital to understanding a company’s financial health as understanding the company’s financial statements, perhaps just not in the very short term. But, if an ESG risk manifests itself over the medium to long term, it will soon have a significant impact on a company’s financial condition and its ability to generate returns for investors. By integrating ESG considerations on a holistic, fundamental basis, investment managers can better price the asset they are investing in. This helps avoid overpaying for an investment. Understanding the individual material issues of an asset helps managers determine the most appropriate weighting for a particular asset within a portfolio. Additionally, full integration of ESG into the investment process helps investors better engage with companies on the issues will have the most significant impacts on their businesses. Finally, ESG integration helps manage the downside risk, or the risk that an asset loses value due to the augmentation of a key risk to the business. Pensions & Investments, less than 25 per cent of the 500 largest companies globally were producing sustainability reports five years ago. As of 2017, over 80 per cent of these companies now produce reports of this kind. But simply reporting on sustainability practices is no longer enough. ESG risks are just as important as financial risks, and thus should be given equal consideration. Companies must therefore report their material ESG risks and opportunities and how they plan to manage them. While some companies have adopted best practices, others still continue to dump this information in their sustainability or Corporate Social Responsibility (CSR) reports where it can be easily overlooked. Still, there is reason to be hopeful that improvements will come in time. Several international bodies, including the Global Reporting Initiative (GRI) and the Sustainable Accounting Standards Board (SASB) are currently advocating for global standards of ESG risk assessments. But this is still a work in progress. Finally, companies are seeing increased support from their boards regarding a focus on ESG characteristics. Changes like these that happen at the very top of the corporate structure are likely to spur a greater drive towards implementing more ESG-friendly objectives. Cindy Rose is head of ESG (clients and products) at Aberdeen Standard Investments.